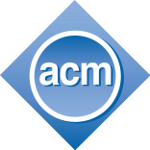 The final proceedings have now been published in the ACM DL. Get the WS-REST 2010 ACM DL Proceedings. Download the Preliminary proceedings including the PDFs of papers presented at WS-REST 2010 on April 26, 2010. The BibTex metadata is also available.